Goal-Service Modeling helps discover business-aligned services and ensures that important services have not been missed during process decomposition or Existing Asset Analysis. 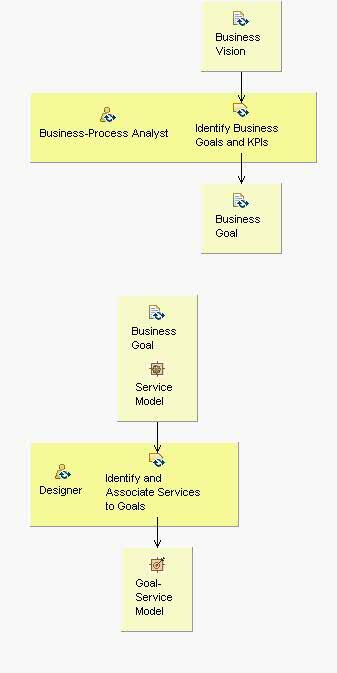 By clearly articulating business goals, Goal-Service Modeling also provides an important mechanism for narrowing the focus of the other service identification techniques. It starts with business goals, break them into sub-goals, and then determines which services are needed to fulfill the sub-goals. KPIs, metrics and associated events are identified that make it possible to measure the performance of the identified services and assess them against sub-goals.